Rosh Hashanah, the Jewish New Year, and Yom Kippur, the Day of Atonement, will soon be upon us. These significant, biblically-based Jewish holidays and the ten days between them comprise the High Holy Days today. Jews have celebrated these most widely observed of the Jewish holy days since biblical times—and Jesus, being a Jew, commemorated them as well. Jews begin preparing for this most solemn and holy time during the preceding month of Elul. The 40-day period between the beginning of Elul through Yom Kippur is a time of reflection and soul searching, preparing us for the "Days of Awe" or "Ten Days of Repentance," as the High Holy Days are sometimes called, in the proper spirit. The dominant theme throughout this time is teshuvah, or repentance — literally, "returning to one's self." Rosh Hashanah marks the beginning of the Jewish New Year. In contrast to the parties and frivolity of the secular New Year, Rosh Hashanah is marked by solemnity and deep moral and spiritual introspection. We are anxious to "wash our slates clean" and begin life anew. The days leading up to Yom Kippur are a time of prayer, repentance, and doing acts of charity. Yom Kippur, the holiest day of the Jewish New Year, is the culmination of the entire High Holy Days drama — and the final opportunity to repent of our sins before God makes a final judgment on each individual for the year. Our greeting to each other during this day, "gemar chatimah tovah," or "May you be sealed [in God's Book of Life] for good," reflects our hope for the new year. To help you and your congregation better understand the significance of the High Holy Days to both Christians and Jews, we have provided a series of free downloadable resources in our Pastor's Library. Here you will find Bible studies relating to the major themes of Rosh Hashanah and Yom Kippur. We have also provided sermon links, a PowerPoint presentation, teaching videos, and church bulletin inserts as additional resources for you. It is our hope that these materials will help you gain greater insights into the Jewish roots of the Christian faith and understand the significance of Rosh Hashanah, Yom Kippur, and their relation to the many beliefs and traditions of Christianity. We thank you for your continued interest and your partnership in building bridges of understanding between our two faith communities. May God bless you richly as you and your congregation continue to study His word. Explore The Jewish High Holy Days and its significance to the Christian faith through these downloadable Bible studies. Help your congregation expand its understanding of the High Holy Days through a downloadable overview. Explore how Rosh Hashanah, the Jewish new year, and Yom Kippur, the Day of Atonement, is celebrated in Israel through downloadable church bulletin inserts. 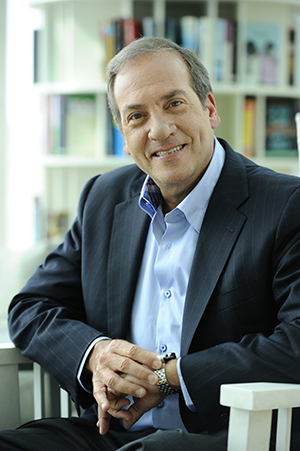 Rabbi Yechiel Eckstein is featured on these teaching video clips that can be used with the Bible study materials, as part of a sermon illustration, or as a stand-alone resource for adult education. A PowerPoint presentation, "High Holy Days: Celebrate Rosh Hashanah and Yom Kippur" is also included.